Published today is the autobiography of one of the most colourful, most outspoken and one of the most deeply principled MPs. His career of 43 years saw him be the thorn in the side of several Prime Ministers, even i fhe never got a front bench political career. But Tam Dalyell's name was rarely out of the headlines. An outspoken critic of both Margaret Thatcher and Tony Blair, his vehement criticism of the sinking of the Belgrano during the Falklands conflict, the Gulf War of 1990 and the invasion of Iraq in 2003, he has also been a leading figure in the attempt to uncover the truth about the Lockerbie bombing. His memoir, based on personal papers as well as official documents – many of them only recently declassified – looks back over a lifetime of dedicated service as MP for West Lothian and Linlithgow and covers his family connections to the area for almost 400 years. Sir Thomas Dalyell Loch of The Binns, 11th Baronet – better known as Tam Dalyell – was born in Edinburgh in 1932 and inherited the Baronetcy of the Binns via his mother in 1972. Educated at the Edinburgh Academy and Eton College, he did his National Service with the Royal Scots Greys from 1950 to 1952 as an ordinary trooper having failed his officer training. He studied History and Economics at King's College, Cambridge, where he was Chairman of the Conservative Association. 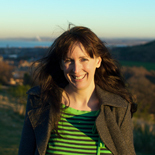 Following teacher training at Moray House College in Edinburgh, Tam taught at a non-selective school and a ship school. He joined the Labour Party in 1956 after the Suez Crisis and became an MP in 1962, defeating William Wolfe of the Scottish National Party. Tam was an MP in the House of Commons from 1962 to 2005, first for West Lothian and then for Linlithgow. He became Father of the House after the 2001 General Election, when Sir Edward Heath retired, and was a Member of the European Parliament from 1975 to 1979 and a member of the Labour National Executive from 1986 to 1987 for the Campaign group. In 2003 Tam was elected Rector of the University of Edinburgh. 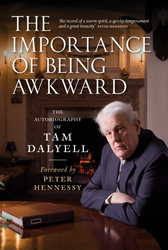 The Importance of Being Awkward: The Autobiography of Tam Dalyell is published today, 17th August, £25 hbk. Tam will be appearing at the Edinburgh International Book Festival this evening. One of the highlights of this year's Edinburgh Fringe Festival has been a little number called The World According to Bertie. Sound familiar? Yes, the Italian-speaking, saxophone-playing wunderkind of Alexander McCall Smith's delightful 44 Scotland Street series has made his world stage debut. And he even got to meet his maker ... in a nice way! 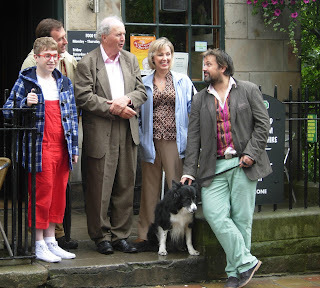 Alexander McCall Smith (himself), Irene Pollock (Rachel Ogilvy), Cyril (Corrie), Angus Lordie (Edward Fulton). Sandy seems pleased with the result, see here for a short interview with him courtesy of STV. The show has been getting great reviews, so why not take a stroll around The World According to Bertie? Find out more at www.edfringe.com, and catch up with all the goings-on at 44 Scotland Street in the latest novel in the series, Bertie Plays the Blues. Getting slightly excited ... Edinburgh International Book Festival 2011 starts this Saturday! The Edinburgh International Book Festival is the largest in the world. In 2010 the stats stacked up to 778 events, 200,000 visitors, 870 authors from 49 countries - 165 of them Scottish – with 341 sold out events and 118 free events. 2011 promises to be even bigger, even better – possibly wetter, but we don’t care! Both Birlinn and Polygon will be cheering on their authors at this year’s festival, and we can promise something for everyone. From Precious Ramotswe’s first case to true tales of derring do in the Second World War. Victorian crime fighters to naughty little boys. 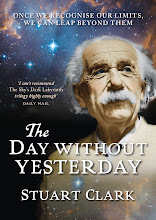 Growing up foreign to the greatest discoveries in astronomy. Makars and Method Actors. Self-contained in a small but perfectly formed village of white tents in Edinburgh’s Charlotte Square, the Edinburgh International Book Festival is a wonderful place to be. Why not join us? Charlotte Square, in the sunshine! ﻿﻿﻿﻿﻿The whole world seems to be going Bertie mad! Not content with a brand new 44 Scotland Street novel, Bertie Plays the Blues, tomorrow sees the World Premier of The World According to Bertie at the Edinburgh Festival Fringe. And now an Edinburgh retailer is offering cards and a poster featuring images from the 44 Scotland Street books - including the iconic lion door knocker - by Iain McIntosh. More information on the items (which are exclusive to Context Interiors) can be found at http://www.contextinteriors.co.uk/.